We still need YOU to join us for our daily noontime meal! We receive funding from the York County Area Agency on Aging for every single meal we serve. This means every meal is so important! Lunches are available to anyone 60 or better living in York County for only a donation. Please note this is not a need based program and your income level has no bearing; we serve everyone! Since our meal program is catered daily, we need your reservation by 10:30 AM one business day in advance. 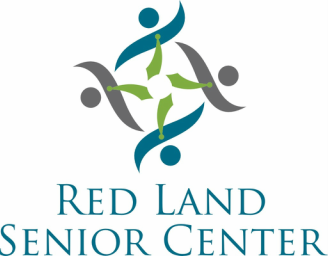 Please stop in, call the center at 938-4649, or email us at rlscdirector@gmail.com and we will sign you up today! We hope to see you soon! For the April menu, click here. For the May menu, click here. Fresh Express Comes to Red Land! On Tuesday, May 21, fresh produce and non-perishables will be distributed to those income eligible individuals at 9:30 AM. Pre-registration is required by May 13 and FREE to those who qualify. To register, call Red Land Senior Center at 938-4649. Food is provided by the Central Pennsylvania Food Bank. Click here to print out a registration form from home. We are now using Google Calendar! Sync your calendar so you don't miss any programs; simply click the Google Calendar icon above to get started.